During the first three months of operation the individual is restricted to driving alone, or with a parent or legal guardian only. During the second three months of operation the individual may begin transporting immediate family members (siblings). After holding a Junior Driver's License for six months there are no passenger restrictions. 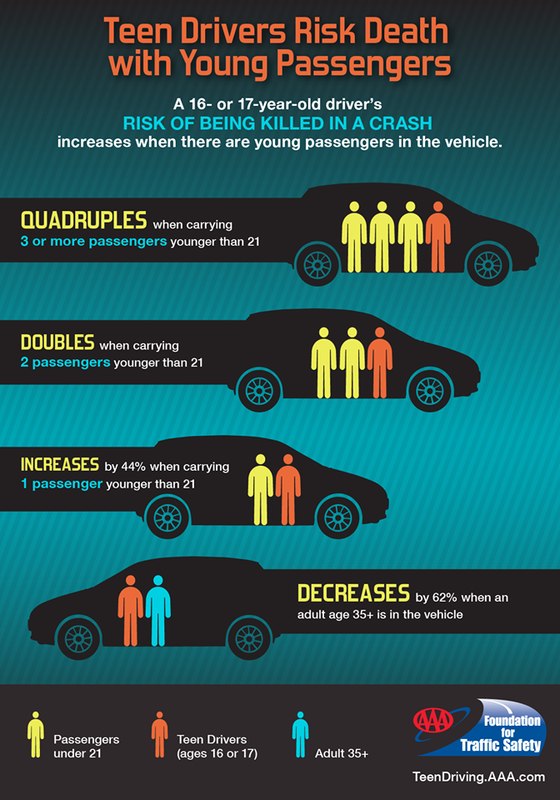 This system is in place to keep your new driver, his or her friends and those of us that drive along side of them safe by reducing some of the many risks associated with being a new teen driver. They will definitely ask, "just this once?" They may even argue with you about it. Here are some statistics to help you with that conversation.